Oneir Solutions, full-featured business software able to perform in lockstep with the evolution of any business. We provide industry-specific global ERP business software solutions designed around the needs of food and beverage wholesale distribution, tile and flooring industry, retail, wholesale, building materials & supply, manufacturing and service companies, integrating “brick and mortar” with e-commerce. Oneir takes businesses to a whole new level with Enterprise Resource Planning (ERP) that effectively manages key business functions through one shared information database…no matter where they are or how many locations. Point of Sale (P.O.S. ), invoicing, customer relationship management, inventory control, accounting and payroll in addition to financial and management reporting. Everything under control. It is more critical today than ever before for management to have current and concise global views in an instant. 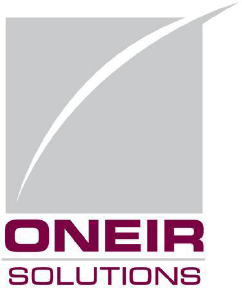 After all, Oneir Solutions’ business is Making Businesses More Competitive™…Today and Tomorrow! For a live, on-line demo and client needs analysis click on the link below. Give us an opportunity to learn more about your business and show you how Oneir can give you “A Competitive Advantage”. Oneir Solutions Inc. has the tools to place an even greater emphasis on Making Your Business More Competitive with our ABC Approach. A. Oneir Solutions provides more ways to make sales… while increasing sales with Customer Relationship Management (CRM) that provides a central source of information about customers and prospects, and multiple methods to attract and service them. B. Oneir Solutions makes the business more productive…your employees will do more with less. C. Oneir Solutions reporting monitors performance in all aspects of the business…giving time to plan growth and look to the future.